Continuity: The only animated adventure to feature the Nth Doctor. Synopsis: When the Doctor lands in the village of Lannet in Lancashire, he finds a community paralyzed by fear. The broken streets are empty and silent. Men, women, and children alike are keeping quiet and keeping to themselves. The Doctor senses that their dread is a response to an unspoken warning—a low and loathsome sound, persistently reverberating through the ground beneath their feet. Something hellish has taken up residence in the volcanic depths of the earth. 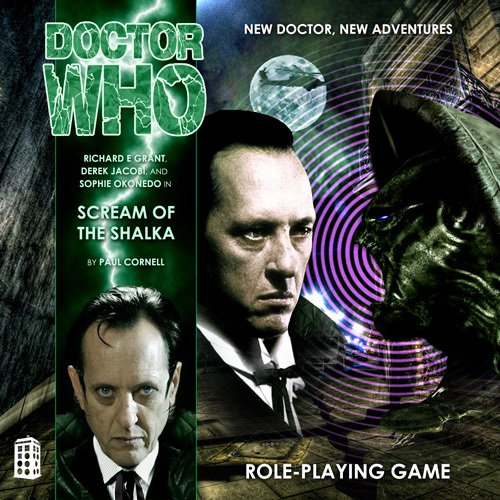 The Shalka have decimated a hundred thousand worlds in their never-ending drive to expand across the universe. Now, the Earth is their home. While the British Army launches a large scale evacuation and prepares for military action against the underground invaders, the Doctor finds an ally in bolshie barmaid Alison Cheney, but their combined efforts to get to the bottom of things serve only to precipitate an apocalyptic plot. Soon controlled populations across the planet have given voice to the inhuman scream of the Shalka, launching a sonic assault that will disrupt the Earth’s atmosphere and scorch its surface. As humanity has lost its voice and is powerless to resist the new order, it’s up to the Doctor and his newfound companion to stand up and make some noise. This entry was posted on 16/09/2015 by hedgewick. 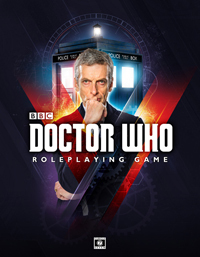 It was filed under The Nth Doctor and was tagged with Alison, Episodes, Scream of the Shalka, Shalka, The Master.